Triad Transport, Moonta Engineering & Trevarth Garages are based in Moonta, South Australia. We are a family owned business with over 30 years experience. We endeavour to construct and deliver high quality custom made farming and residential products. 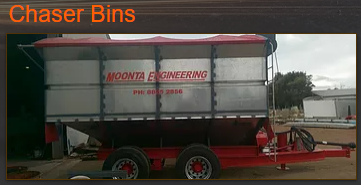 Moonta Engineering won the 2011 Best Australian Made Machinery Award and are well known for our field bins.